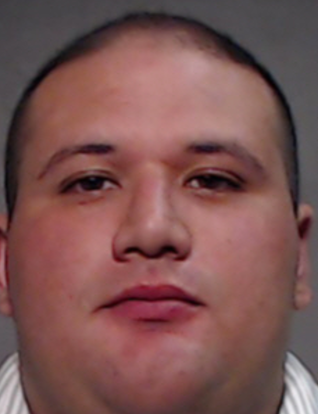 EDINBURG — A Hidalgo County grand jury decided against indicting a county sheriff’s deputy Thursday, District Attorney Ricardo Rodriguez Jr. said. The grand jury returned with a no bill decision, meaning they decided that the evidence presented by the district attorney’s office was insufficient to indict Jayson Andrew Rivera of the one count of injury to a child. Rodriguez said his office would not pursue Rivera’s case further. “We’re going to honor (the grand jury’s) decision,” Rodriguez said Monday. Rivera, a deputy with the Hidalgo County Sheriff’s office with more than a year experience, was facing one count of injury to a child. Sheriff’s officials placed Rivera on paid suspension at the end of March when Weslaco police formally charged him with injury to a child in connection with an early January incident, according to the criminal complaint. According to the affidavit filed by Weslaco police, the 29-year-old man’s alleged abuse of the victim, a minor under 14 years of age, came to light after a Child Protective Service official filed a report of injury to a child with the police department in connection with a Jan. 7 incident. A CPS worker made contact at the alleged victim’s school, IDEA Public Schools, and Rivera, who told the investigator he spanked the child using a belt sometime between Jan. 5, and Jan. 8, after the child’s guardian left him with Rivera, the complaint states. In May, Guerra said an internal investigation into the alleged abuse conducted by a high-ranking sheriff’s official determined Rivera was not in violation of any sheriff’s office policies. As a result of Rivera’s arrest, and subsequent suspension, county officials advised of a violation of the county’s nepotism policy, because Rivera’s direct supervisor was his very own uncle, Joel Rivera. Guerra announced in early May that Joel had been reassigned to the budget department as a result; despite disagreeing with the county auditor’s assessment that his office was in violation of that policy. Rivera, despite being placed on suspension, continued to receive a paycheck unlike other deputies who had been suspended in connection with alleged criminal offenses. There were at least four deputies who were terminated since September 2016 for alleged offenses ranging from DWI to assault of an inmate. A call placed to Sheriff Guerra Monday for comment went unreturned as of press time. Rivera’s current status with the sheriff’s office, which in early May was suspension with pay, is unknown.